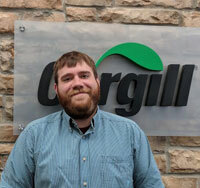 Cargill Animal Nutrition Adds Talent in Central U.S.
Cargill Animal Nutrition announces the addition of Grant Stoddard to its Central U.S. dairy team. Stoddard brings his experience working in the dairy industry, and a level of expertise that will help strengthen customer offerings. Stoddard recently completed his PhD in Veterinary Science at the University of Minnesota and also has his B.S. in Animal Science from the University of Wisconsin River-Falls. He specializes in nutrition, lameness and hoof trimming, and will be utilizing these skills to serve dairy producers in the Minnesota market. To learn about dairy career opportunities, and more recent additions to the Cargill dairy team, please visit CargillDairyDreams.com and select “Career Dreams” under the “Contact Us” tab. Our new and improved blog also has content on customer success stories, expert opinions, exciting videos and important safety knowledge. 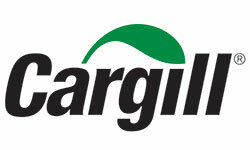 Subscribe to receive the latest posts straight to your inbox at CargillDairyDreams.com/Subscribe.